In 1160, Maurice de Sully is elected bishop of Paris. 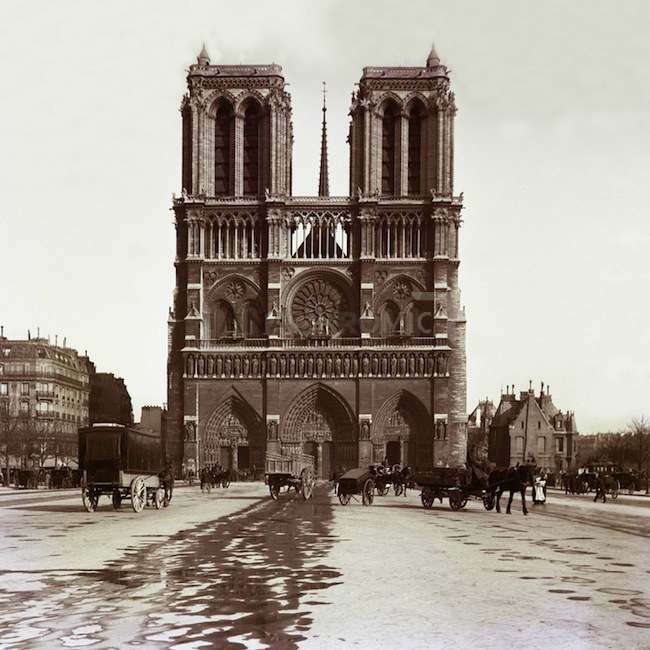 One of its first concerns is to make build in the center of Paris, a church in proportionof the capital of France. Supported by king Louis VII, the project is thrown for a construction which begins in 1163 and which will end more than 100 years later in 1272. The Parisian people but also numerous journeymen and the craftsmen come from all Europe, participate in the construction, supported by the Parisian notables and the Church. All will offer in a equal way their efforts to God and to Marie..